As promised, I'm back with another sample of the embossing technique used in yesterday's post. This card is a CASE from Michelle Zindorf, an amazing artist and teacher. Several years ago, prior to becoming a SU! demo, I was able to attend a class that Michelle was teaching in a nearby town. I am a crafter, but a session with her made me feel like an artist! 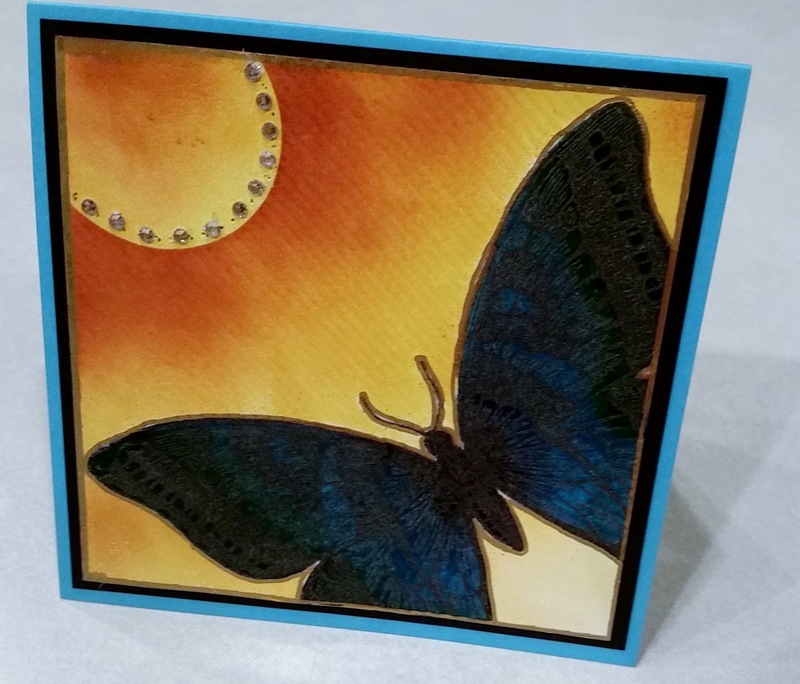 In addition to the embossing technique, this card includes some brayer work, a little sponging, masking and if you look closely, you'll see lines created by the Simply Scored Scoring Tool. A card like this needs no sentiment, it's lovely on it's own. If you have any questions, leave a comment and I'll get back with you asap!